Parents Pray Children Play cross stitch pattern... 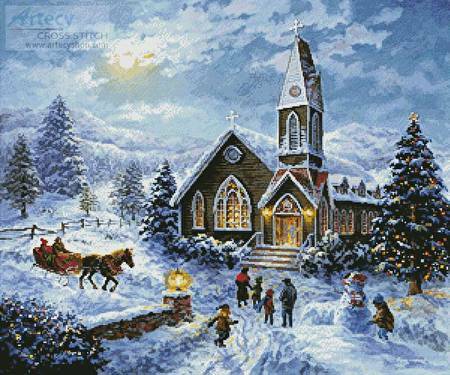 This counted cross stitch pattern of a Church scene at Christmas was created from the beautiful artwork of Nicky Boehme. Image copyright of Nicky Boehme/ Art Licensing Int'l. Only full cross stitches are used in this pattern.